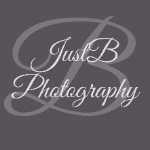 If you have worked with JustB Photography before, you have most likely heard us say it..... we LOVE love! We love capturing the love between two individuals who have decided to selflessly love one another for the rest of their lives! To be in love is to have joy. That's what we strive to freeze in an image...the joy of loving and being loved by another.